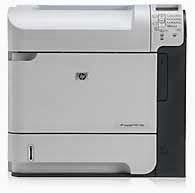 HP LaserJet P4015dn is a monochrome laser printer that supports network connections and duplex printing. Printing speed up to 52 ppm with a maximum resolution of 1200 x 1200 dpi. Duty cycle of 225000 pages per month making it the right choice to meet the needs of the office.